I'm taking the night off. I'll be back tomorrow afternoon. 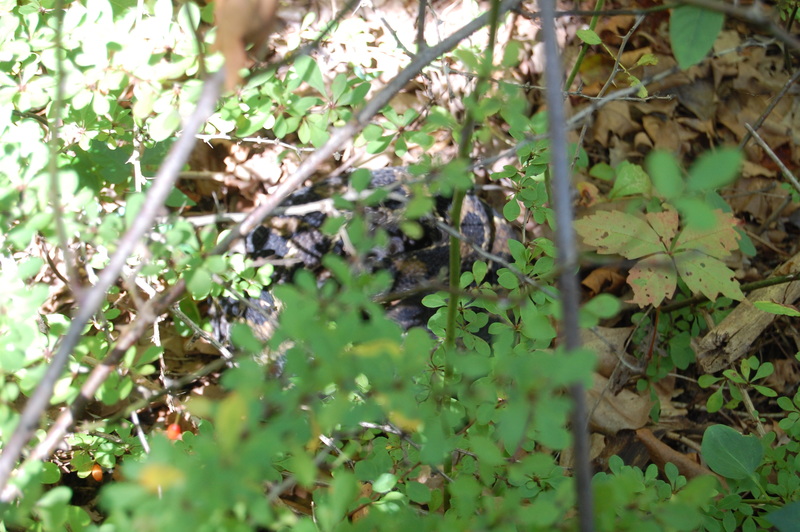 In the meantime, see if you can guess from this terrible photograph what I nearly stepped on yesterday afternoon. It only looks like a snake. It’s really something nefarious from Acme. Laura is an eastern roadrunner in disguise, and Wile E. Coyote has finally gotten wind of that fact. I confess I didn’t even know they had big old snakes in Jersey. snake as well…. but i see I am already number 5 on that train… so to make it more exciting. boa constrictor?? Copperhead? I don’t see the head, so it could be one of the pit-viper mimics. Close. It’s a NY rattlesnake. You don’t see the head because Laura beheaded it before taking the photo. Never walk into the Jersey woods without a big knife, at minimum. Different people in the world get the credit loans from different creditors, because it’s simple and comfortable.